Do you have panniers, those bags that clip on the side of a bike rack? After years of using a messenger bag, I am now a faithful pannier user and call them my Mary Poppins bags. Here’s a trick for other pannier users: When grocery shopping, clip your panniers on the front, inside, or outside of your shopping cart during checkout. It’s a simple way to load up and make sure the heavy stuff goes to the bottom, the lighter stuff stays on top, and that weight is evenly dispersed between the two bags. My friend Meredith demonstrating the pannier method of shopping. Panniers turn your bike into a pickup truck: They offer the carrying capacity of nearly two weeks’ worth of groceries, everything but the kitchen sink for a family trip to the park, or simply all the odds and ends that you need daily. And with panniers, you don’t have to worry about the strain, weight, or sweat from carrying a backpack. If you’re in the market for panniers, click here to read Momentum‘s reviews on over a dozen different options to choose from. 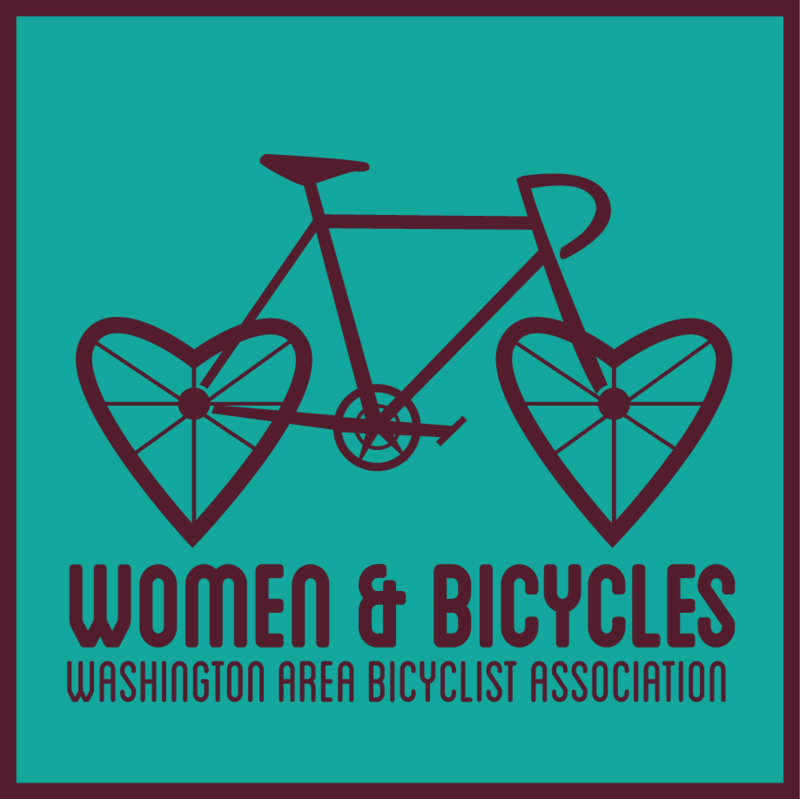 And speaking of groceries, biking, and WABA’s Women & Bicycles program, are you coming to the Women & Bicycles happy hour tonight at Glen’s Garden Market in Dupont? We’ll be there from 6 p.m. to 10 p.m. Click here for more details. Topics: Uncategorized. Tags: commuting, news, tips, Women & Bicycles.